Want to take a look at some honest, in-depth reviews of restaurants, activities, stores, and services on the island of Maui? We’ve gone out to many of these places and written our experience, along with posting images and videos of many of them. 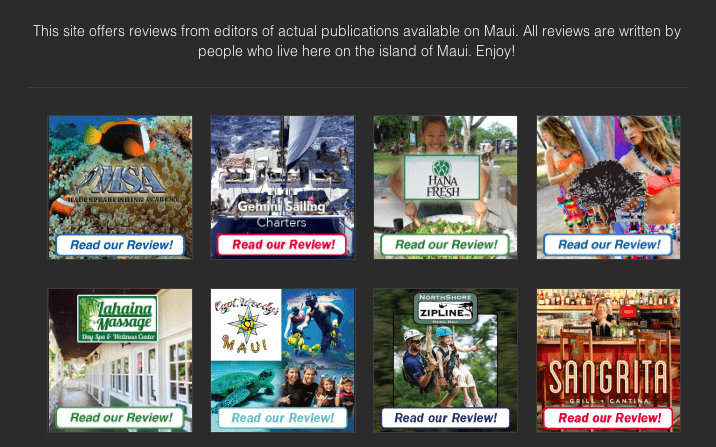 There’s also information to contact the places at Maui Reviews. To visit the website, click here. Reviews for places on the island of Maui.